Ladies who want to be and feel elegant need to have a watch that reflects that elaborate and elegant style. 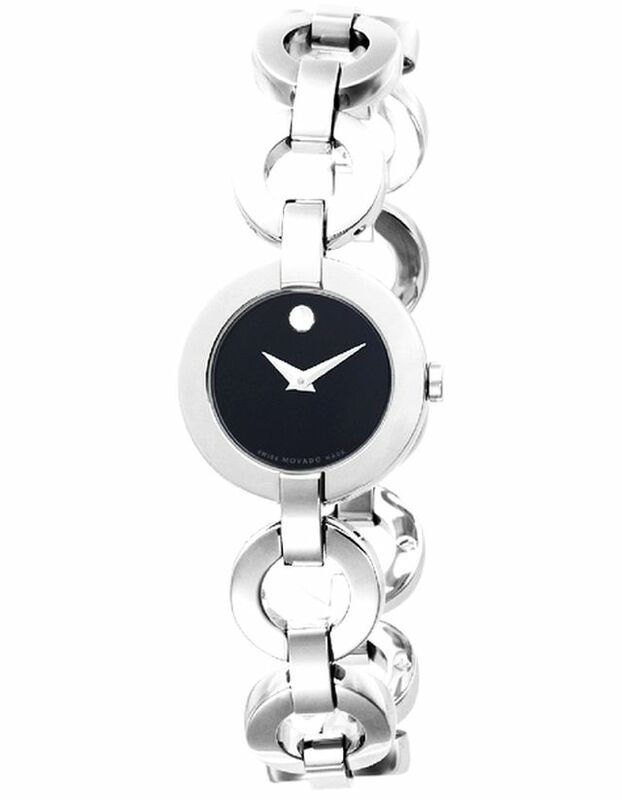 Lady Movado watches are the gift for just that special woman, or ladies it’s a perfect gift for yourself. Movado is a Swiss luxury watch company whose name is Esperanto for “always in motion or movement”. Doesn’t that sound like the woman who wants to look extravagant needs to have a watch to reflect that mood? I think it does. Ladies Movado watches will reflect that style. Movado was founded in 1881 in La Chaux-de-Fonds, Switzerland. The ladies Movado watches are a contemporary women’s watch which is fashioned in solid gold or gold-plated stainless steel. The designers at Movado feel that the watch is more like a bracelet than just a timepiece. The bracelet is designed with wide, sculpted middle links. The famed Museum® dial is detailed by a discreet new minute ring around the face of the watch. The collection of wonderful ladies Movado watches especially with their Concerto Model are as follows: 18K yellow gold-plated stainless still case and link bracelet with either a black dial or a white dial. The other type and style of the Concerto is stainless steel case and link bracelet. This too comes in either a white or the black museum® dials. Available as well is the Women’s SE Extreme model. This model sports the Museum® dial with their trademark flat dot. You also have available the stainless steel case with diamonds, white mother of pearl with the trademark flat dot. These ladies Movado watches is available as the Movado Master Model. This watch has a stainless steel case with black sapphire crystal bezel, matte black dial with textured center and a textured black rubber strap. The Movado master model that is one of the most expensive watches you’ll ever find has a stainless steel case with diamonds, matte black dial with a textured center and a textured black rubber strap. 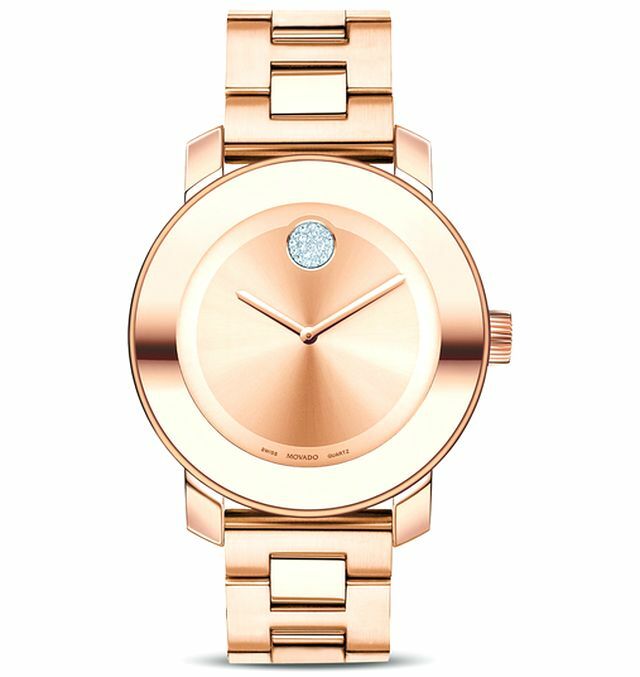 With the same price tag just a few dollars short of $5000.00 the Movado master watch also comes in a steel case with diamonds, matte white dial with a textured center, and a white rubber strap. 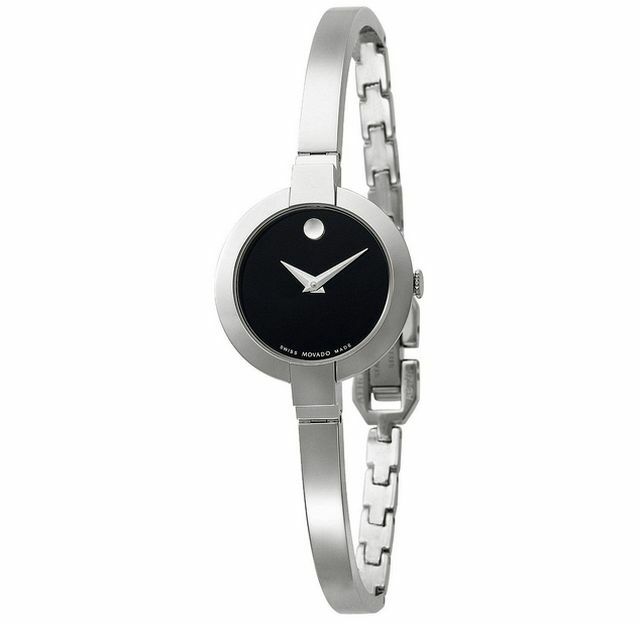 Available as well is the Movado Bold timepieces for the lady. These watches are unisex featuring cool TR90 composite material/stainless steel cases. Dials are featured with a bold new dot and bright colors are offered. The hands of the timepiece are colored as well to match that trademark flat dot. They have coated leather straps lined with eye catching purple color. Not to be outdone for the sporting lady there is a ladies Movado watch for you. The model is called the Series 800 sub-Sea the art of performance. These timepieces are water resistant to 20 ATM with a screw-down crown. These are made of performance Steel ™ with unidirectional bezels. Retrograde models are fixed with colored aluminum bezels also with luminescent details. These ladies Movado watches are not for the miser, and not just for anyone. The prices of these timepieces range anywhere from $995 up to $5000. The ladies Movado watches are for the elegant, luxurious, expensive woman. Beautiful workmanship is crafted in each and every watch. They all have Swiss quartz time movements to keep the time accurate. If expensive is what you want others to see, then this is the watch to have.